You will love this bag! It was made from my Summer Set pattern using a beautiful Australian 100% Pima Cotton. 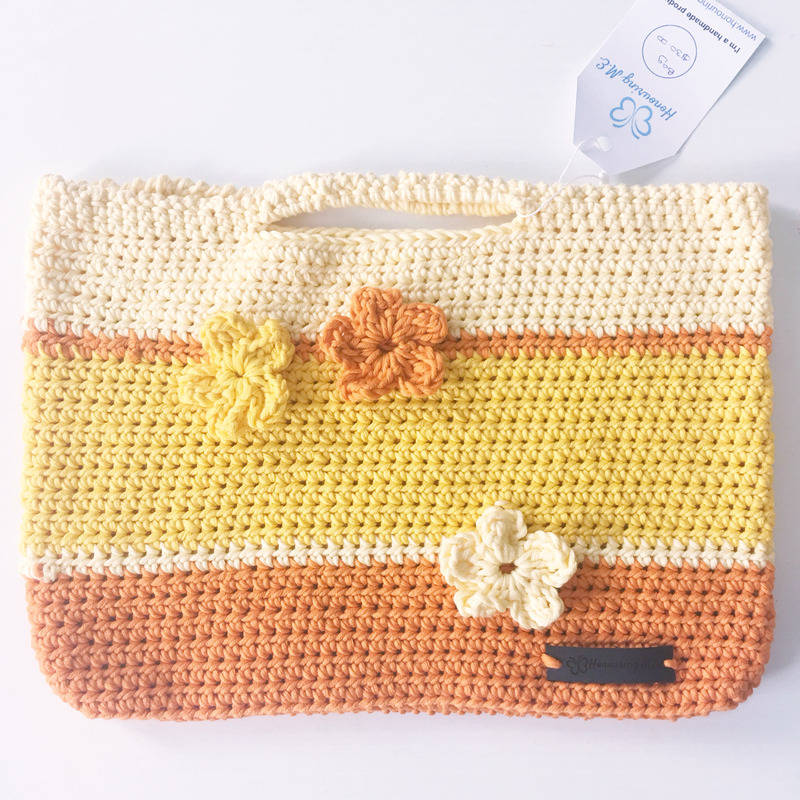 The bag is made in orange, yellow and cream to give that bright summer vibe. The three flowers on the front have been made as part of the row so they will never fall off. Perfect for carrying your ipad and small items for the beach or a picnic.